PCI DSS (Payment Card Industry Data Security Standard) is an information security standard developed by Payment Card Industry Security Standards Council formed and supported by major international payment systems: Visa, MasterCard, American Express, JCB and Discover. The standard was created to increase control around cardholder data to reduce credit card fraud via its exposure. 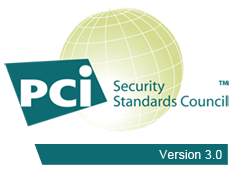 From the start in 2003 we have been fully PCI DSS Level 1 compliant. It complies to the highest standards in the online payment processing industry. Akurateco fully meets the standards for security and fraud prevention as established by the PCI Security Standards Council (members include: MasterCard, Visa, American Express, JCB International, Discover Financial Services etc. ).